I want you to always dream big. To see sidewards of whatever situation you are in, and know that, whatever cloud you are chasing, it is entirely plausible to catch it. There will be people telling you what you’re trying to achieve is an impossibility. That you should aim lower, and stick to making daisy chains while lounging on the grass gazing at those far away clouds. And no one, NO ONE in the world should tell you that the impossible is impossible. Because you are the only one who should set your limits. It will never be my job to tell you what to dream, only to be your cheerleader in whatever way you need. And in that same breath, I hope I am showing you what it is to chase dreams, even when it means letting go of the ones you once held. Because like clouds, life is everchanging, the format may shift in a moment. What was once there may drift away in the breeze while you’re not looking. Then once that cloud has passed: find firm ground. Find the people able to take that ride with you. Find the friends willing to lift you up onto their shoulders in support. Know that you are loved in abundance so many times over. Know that you can weather any storm. Let’s not wait inside while it rains. Let’s go and feel those drops on our skin, let’s run wild like today is the only chance for an adventure. Let’s hunt for dragons in forgotten corners of the world. Let’s lie on our backs and stare at wide blue skies and even if we only ever get as far as making daisy chains, at least we did everything within our power to capture those wispy white clouds. So, dream big. Dream loudly. Dream in a way that only you can master. Find happy. Chase after it like nothing in the world matters. Because the journey is important. And when you are on it, whatever way it takes you, remember to be kind. Be kind to everyone you meet, because if you are the ones to raise your friends up onto your shoulders, then when a time comes, and you have your own battles to get through, they will be there for you in return. 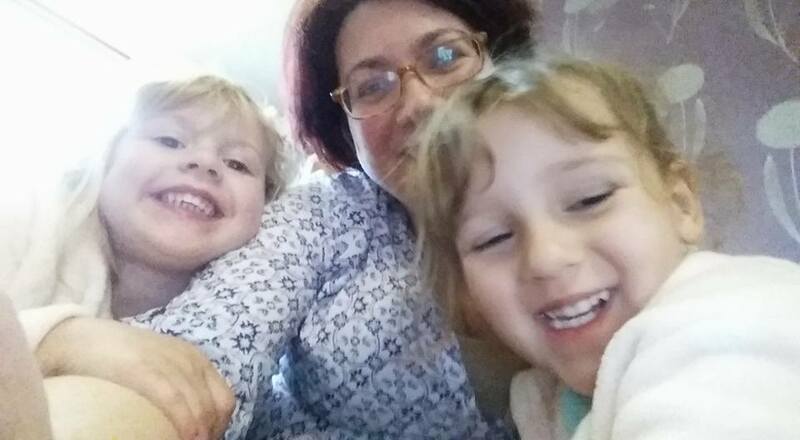 My dear girls, my best friends, my daily wonders, everything that has passed is a promise that I will never let go of my own dreams, and I hope, in turn, I help to fuel yours. 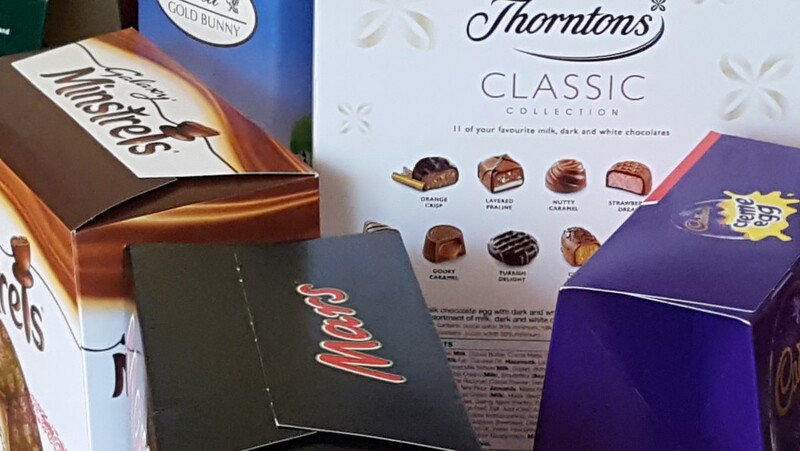 We here at Romaniac HQ have eaten our Easter chocolate, written our way through the holiday and enjoyed the occasional Prosecco. We hope you all had a lovely Easter weekend. My poster for Littlemoor Library. I’ve been busy on my mini tour, which continues this Saturday, 22nd April 2017, at Littlemoor Library, details here. 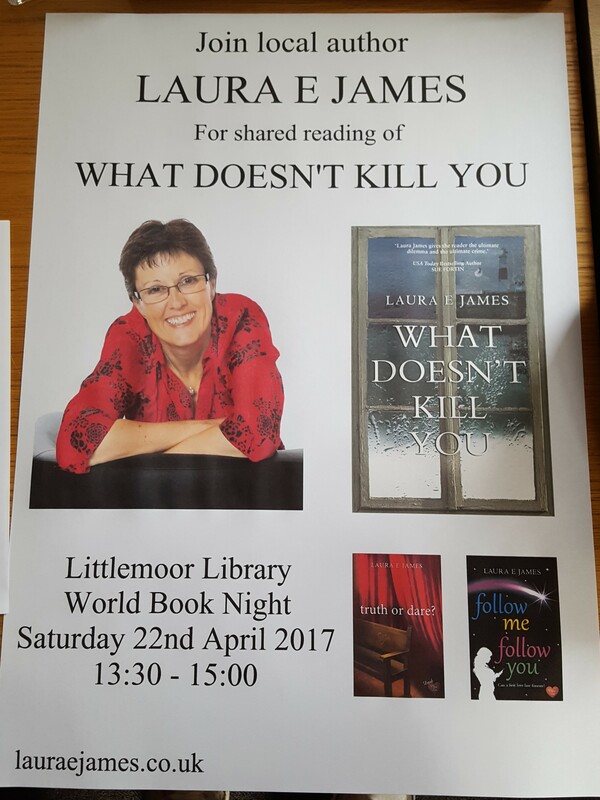 I’m really looking forward to this Shared Reading event where I’ll be reading from WHAT DOESN’T KILL YOU, and supporting my local library. It would be lovely to see you there. 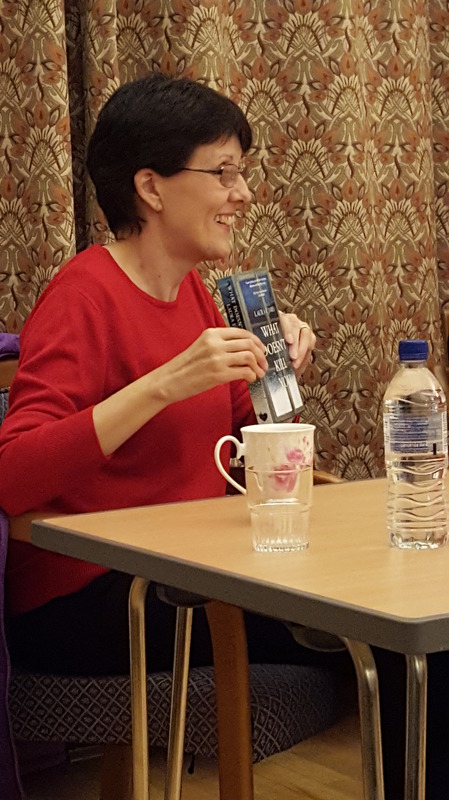 I returned last week from a trip to Exeter – the first Choc Lit Day, organised by my publisher, held at Exeter Library. It was a wonderful way to spend the day, among readers and writers. 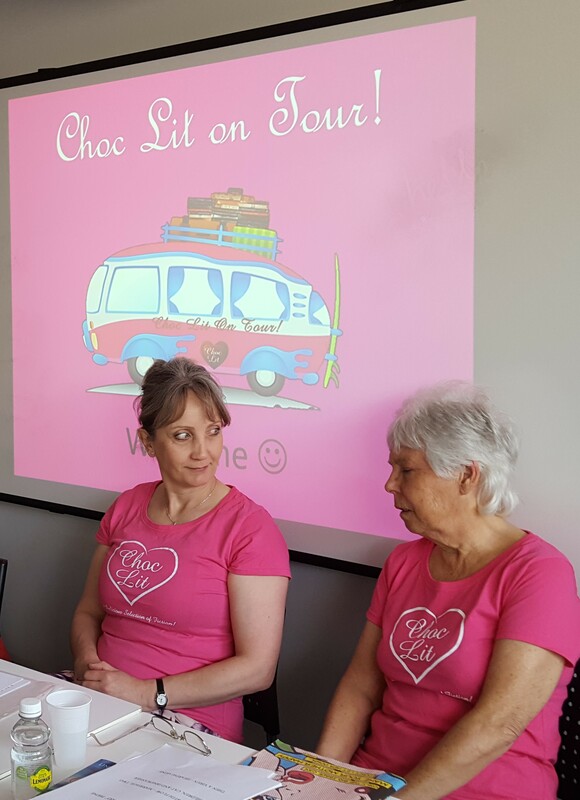 The four ChocLiteers – Margaret James, Victoria Cornwall, Linda Mitchelmore and Laura E James (me) spoke about our publication journeys and the importance of social media for today’s writers, held a fun quiz and chatted with members of the audience. There was an opportunity for writers to pitch to the Choc Lit editor, too. And Victoria Cornwall and I filmed our very first Facebook Live video. The next Choc Lit Day is Saturday 20th May 2017, at Southampton Library, which I shall be attending, and a third date has been announced for Saturday 17th June 2017 at Stockton Library. Details here. 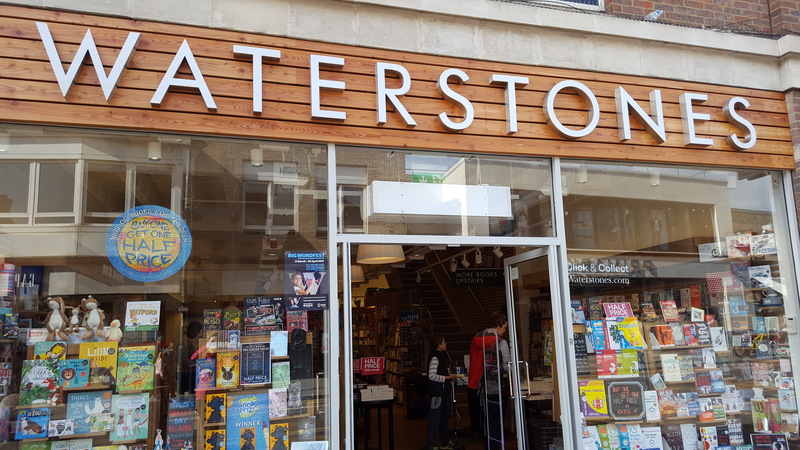 Following my visit to Exeter, I continued my tour with a drive up the M3 and the M25 to Watford, where I’d been invited by the Watford Writers to take part in the Watford Lit Fest. 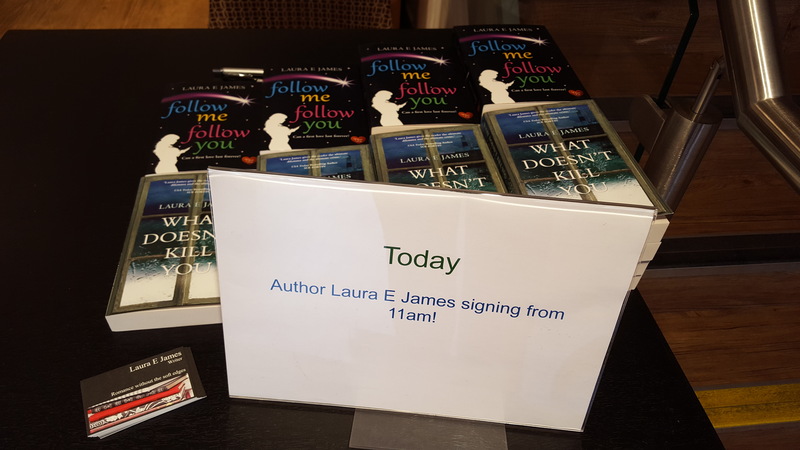 I grew up in Watford and was delighted to be asked there to chat about writing and my novels. I was interviewed by a long-standing friend with whom I used to work, Helen Nicell, herself a writer. It was a fabulous experience and one I thoroughly enjoyed. 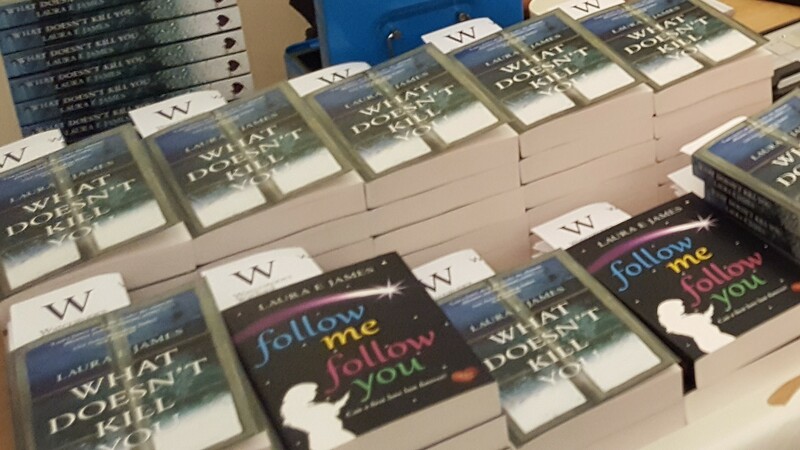 As a thank you to Waterstones Watford, who supplied sale copies of both FOLLOW ME FOLLOW YOU and WHAT DOESN’T KILL YOU at the Watford Writer’s event, I popped in to the branch the next day to sign a few books. It’s a wonderful new store in the high street and definitely worth the visit if you’re in the area. It’s been hectic, but I’ve loved every minute of the tour so far. Of course, I’ve had to pace myself and allow recovery time between events, but I’m rested and ready to go. Oh my goodness, what a crazy few weeks I have had. For those who may have missed it, last week I revealed the cover for my debut novel, The First Time Mums’ Club, which is out in eBook on May 5th and paperback on July 13th. I absolutely LOVE it! I think it captures the essence of the story really well; fun, friendly, and full of the antics of these pregnant ladies. However, as in real life, these ladies come up against a multitude of problems which make them really question what it is they really want. After years of trying and a failed IVF attempt, Pippa is thrilled to see two little lines appear on a pregnancy test. Finally a precious baby to call her own. This is all Pippa has ever wanted…if only husband Jason could show just a little excitement. 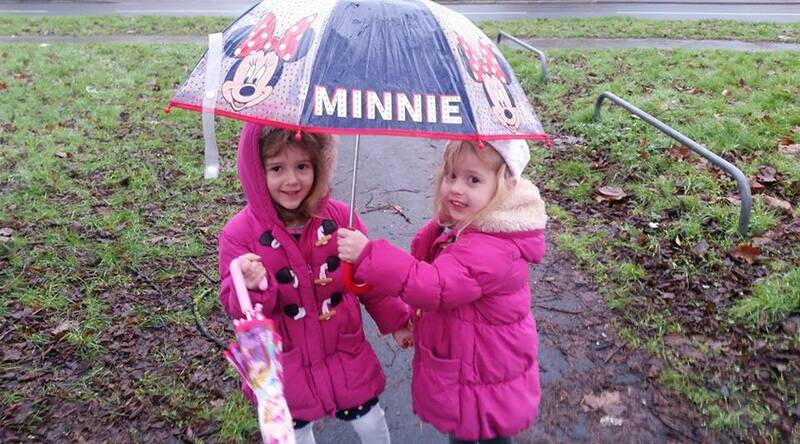 A baby is the icing on the cake for Imogen and Alice – proof that their love for each other can overcome any obstacle. But when Imogen starts receiving malicious texts, it’s clear that not everyone is thrilled about the girls’ good news. A drunken one-night stand and Ellie’s life is ruined! Pregnant, jobless and the relationship with her best friend, Chris, over- forever. Because Chris just happens to be the father of Ellie’s baby…and potentially the love of her life! For these first time mums the road to motherhood is bumpier than most! What do you think? Sound like a good read? I hope you think so. I really enjoyed writing this story. It took me back to when my LO was born and the mixed feelings of elation, excitement and sheer terror as this little human looked up at me and I knew that her whole life was down to me and how I helped her to build it. She’s now 10 and I seem to be doing ok – well she hasn’t divorced me yet so I must be doing ok! The run up to this cover release was hectic and I have been juggling more than I have ever juggled before. I have many balls up in the air at the moment and I’m trying my best not to drop any. I am nearing the end of my second year at Anglia Ruskin University where I am studying a BA (hons) Early Childhood Professional Studies degree. It is hard work, but I am getting there. Even though I can see the end in sight (just 6 weeks left of the semester) these weeks are very VERY busy. I have coursework due in (a portfolio and two essays) and also over this summer I have to start researching and thinking about what I am going to do for my dissertation as I begin my final year in September. I have some ideas already and I know I want to try to incorporate my love of words with my love for childhood – so maybe something literature based. I’m not sure yet. So there will be no rest over the summer with that – alongside writing book two which is out towards the end of this year (around September, I think). I have also signed up for some voluntary work and some paid work at my university to help broaden my experience and learn new skills. One other thing that I have signed up to do that I would like to tell you about is that I am now a student blogger for my university. I love being a course rep and blogging for the university as a student was something that I felt would enrich my role there even more. So I will be blogging once a month about various things ranging from my course, to trips I go on, events I attend and how I manage to fit in studying around family life and a career as a writer. If you want to read my first post, it’s available here. So that’s me. Frantically juggling many different passions I have but loving them all as I do! You can preorder Lucie’s debut, The First Time Mums’ Club, here. Lucie is also on Twitter, Facebook and Instagram. And she blogs for Anglia Ruskin University, here.